I just came across a new photo challenge, one that rose like the phoenix from the smoking remains of an old WordPress photo challenge I used to participate in about a thousand years ago. Right on. Let’s get to it. The theme is blue. And in the inescapable way that photography has of freezing a moment that will never happen again, this groovy blue guitar pick? Has been lost in the river of time. 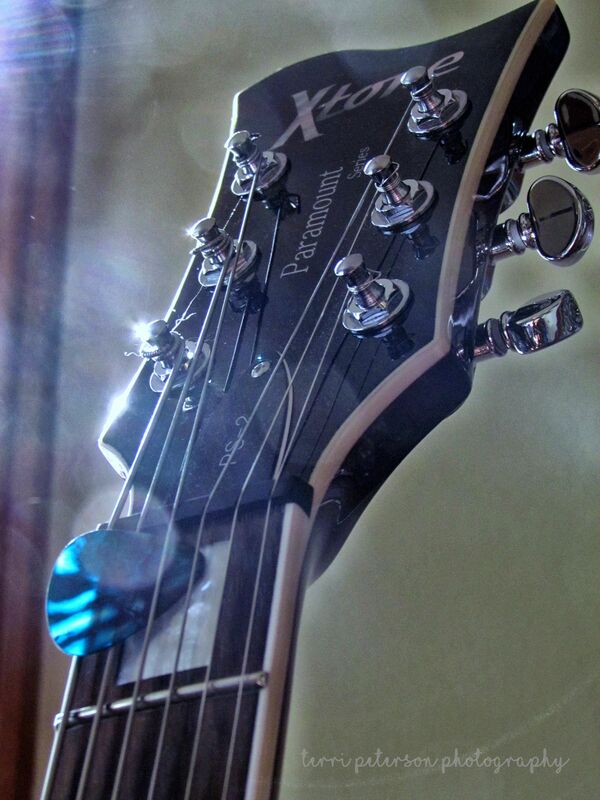 Behold my boyfriend’s guitar, a hazy morning, and just a memory. Thank you so much! I’m glad I found you too. And now you have made me blue… I would like to master a pick (of any colour) but alas that is not to be. Nice one! I tried to learn how to play the guitar once, but I confess, the strings hurt my fingers and I didn’t want to take the time to develop the calluses guitar players have. 🙂 So I just leave the musical end of things to my boyfriend, and he leaves the photography to me. Love it – and the pun going with it. ← Big Beautiful World 41 – Bug Party!